Use this integration to place an Acquire Software on your Wordpress website. Support customers from anywhere using Acquire`s mobile apps. An offline form is for customers that are visiting when an agent is not available. Acquire is a quick, effective way to make a communication with customers. Start using it on your WordPress site and install the free Acquire plugin for WordPress. It takes less than 3 minutes to install and can increase conversions. 1. Login to your WordPress account and open your dashboard, then select Plugins on the left sidebar. 2. In the “Add New” section, search “Acquire” with the search bar at the top right. 3. Install and activate the plugin. Then find Acquire in the left sidebar and pick a widget to turn the chat on! At this stage, it’s done. The plugin has been activated, you’ll return to the Installed Plugins Page. Scroll down and you’ll see that Acquire. 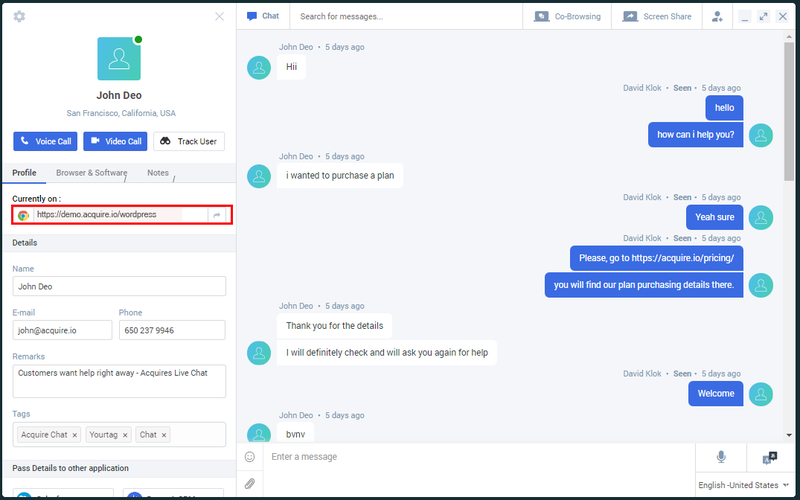 To add Chat widget in your website link up your acquire account here, for this you need to provide your account id in a textbox and click on “Activate” button. If you don’t know how to get account id of acquire, please visit Acquire Integration tutorial. To register with acquire account please click on blue line text “click here”. 2. After login Acquire dashboard and see right side corner username [YOUR_NAME] click here and get your Acquire ACCOUNT ID. 1. After Account id linked up with acquire. you can check current status. 2. Visit your website homepage and click on a small icon that will be displayed in the bottom corner. and start chat there. 3. 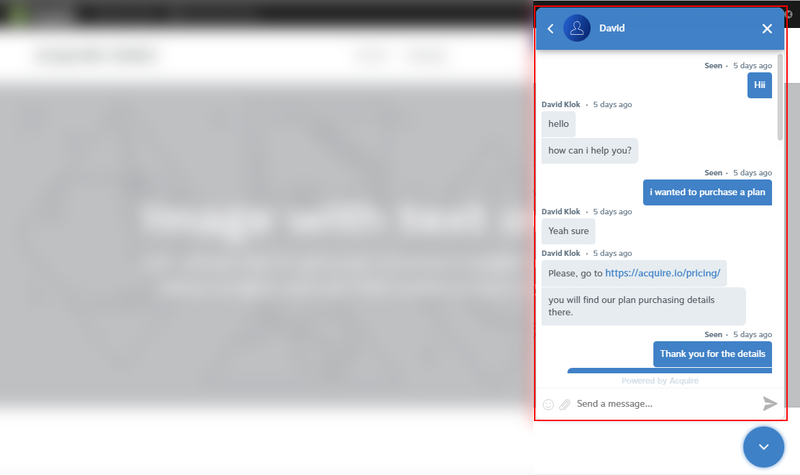 Chat Will display on acquire portal and agent will start communicating with customers. Acquire live chat provide to your WordPress site on user communication make easily and you handle all chat on acquire dashboard.